Contrary to our blog last week, where we highlighted another post by an engineer discussing his profession’s woeful lack of communications skills, this week we discover that some scientists are actually highly skilled visual communicators. Wired Magazine brings us 10 science maps that are visualizations of data sets. 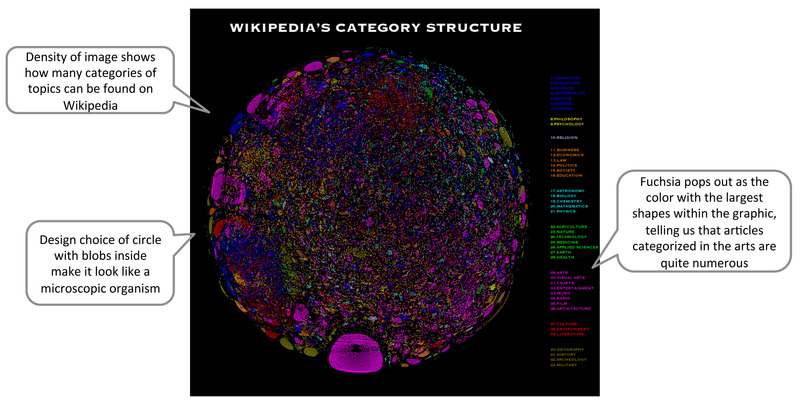 This first one visualizes Wikipedia articles by category as compared to universal decimal classification. The structure is colorful and provides a lot of visual interest, but also creates some questions about the pattern and relationship of the information: are the overlapping areas ones that touch on multiple categories? Though the graphic is attractive, we are left with some questions as to what, exactly, it is trying to show. Another of the 10 science maps, Genealogy of Science, portrays how long scientific journals in different scientific classifications, or fields, have existed, and how much they have developed since their inception. This visual has potential to be more informative, but is currently restricted by its scale. 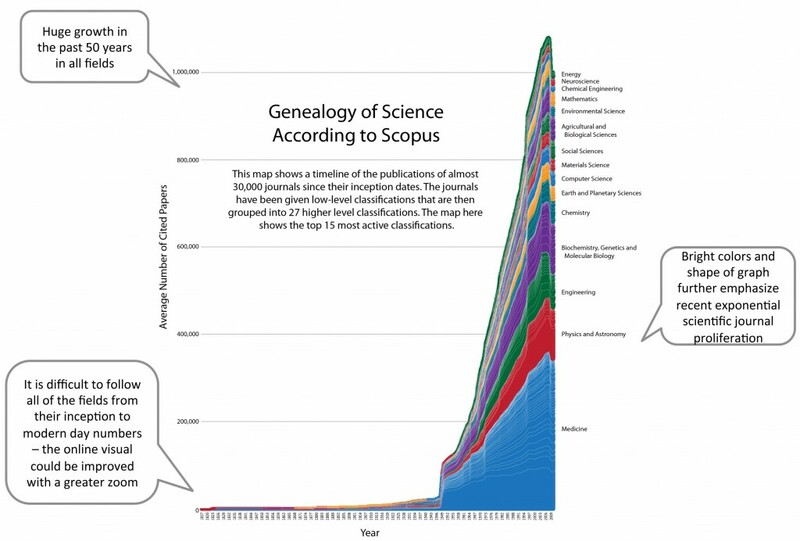 It is very difficult to follow a journal from its beginning in the 1700s to today. 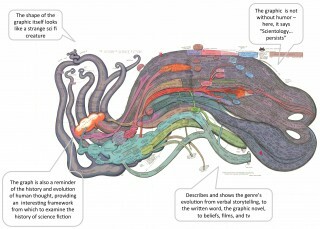 A third, very different visualization is The History of Science Fiction, a hand-illustrated word cloud/timeline graphic. It is strikingly different from the other computer generated graphics featured in this piece. This is just a really cool infographic. One question we have is where the wormholes lead – it is not entirely clear. Nonetheless, this is a really great example of an infographic. 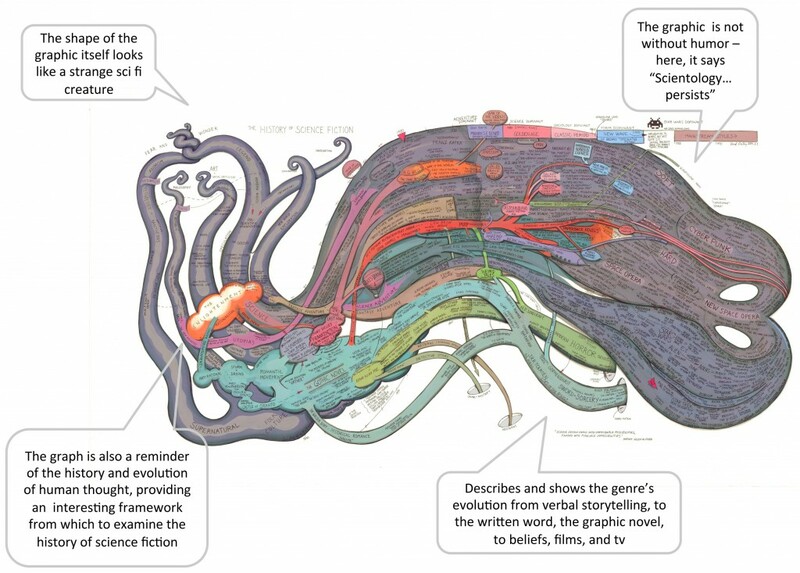 A brain-like word-based image with color, a historical progression, and the inclusion of one of my favorite books – Orson Scott Card’s Ender’s Game – prove that those who are assumed to be the most left-brained of our society can sometimes communicate in surprisingly right-brain ways.